Friends, family and potential employers, all in one room. The last year, hell, your whole degree, has been building to this one night, so… No pressure? Sorry to piss on your chips in the very first paragraph, but nobody gets a job on degree show night. There is no wonderful employer that wanders over to your stand, loudly proclaiming the mastery of the work that affords their eyes and then offering you your dream job with an amazing salary. Be realistic. This isn’t your one and only chance to gain employment, so don’t put all your eggs in this particular basket. On the upside, though – what the show does do is place your work in front of a group of people that can appreciate it, and who knows, maybe offer you a job some way down the line. It gives you an opportunity to speak to people that you just know you’ll have something in common with, all with valuable experience and insight that they’ll be dying to share – so go and get it! Nobody’s going to bite your head off for being friendly, saying hello and starting a conversation, you’ve got nothing to lose. So, when that email from the director of your favourite studio, saying how they saw your work at a degree show and how the sun shines out of your arse doesn’t arrive, don’t be too downbeat. Sometimes, we just can’t make it. Regardless of whether we’re hiring or not, we always aim to get to a couple of degree shows and take an active interest in what’s going on at a student/graduate level (hence this series of articles), but sometimes, we just want to go home after a long day. It’s flippant, I know, but we’ve all got lives, and whether we’re working late, have to get home in time to put the kids to bed or straight up just want to crash out and watch some TV in an evening – we’ve got to put ourselves and our sanity first. With family and friends all there in their going-out gear, let grandma be as embarrassing as possible, pinching your cheek and telling everyone how proud she is. 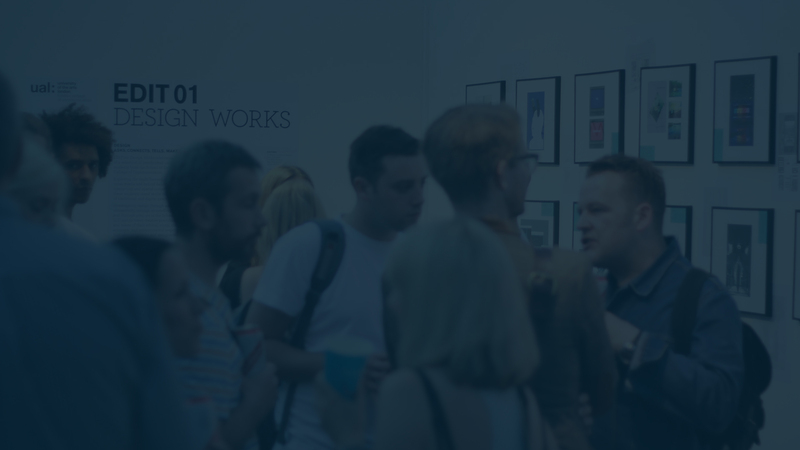 The whole point of a degree show is to celebrate and congratulate you on your achievements. You’ve put in years of hard work (hopefully), you’re allowed to enjoy it. Assuming you’ve not already drank the free beer and wine on offer, go and get a drink with your peers. Aside from the day that you graduate, this might end up being the last time you see some of the people you’ve worked alongside for the past couple of years. Sure, lots of you will hopefully end up rising through the industry together, but for some, design isn’t all it’s cut out to be and they head off to do other things – so, again, make the most of it!